So Slippery Pete loves to spend his weekends on the water. It doesn't matter if he's rock fishing on the Chesapeake Bay or crabbing on the Wye river, he just loves boating. But boat motors need maintenance, and he has always preferred to change the gear oil himself. Over the years, Slippery Pete has owned just about every brand of outboard and stern drive boat motor there is, Mercury, Suzuki, Yamaha, Johnson, Mercruiser, Nissan, Tohatsu, Honda and Evinrude. And every time he changed the gear oil, he had to figure out what size adapter he needed to fit the fill hole in the lower unit. NO MORE!! BECAUSE Slippery Pete's LOWER UNIT GEAR OIL PUMP COMES COMPLETE WITH 3/8"(Metal, Swivel), 8mm and 10mm METAL ADAPTERS! !That covers JUST ABOUT EVERY BRAND THERE IS, WOW!! I don't know about you, but that sounds pretty convenient to me.AND THE PRICE FOR THE WHOLE KIT IS ABOUT THE SAME AS JUST ONE OF THOSE ADAPTERS!! Don't ask me how Slippery Pete is able to make any money on the deal, but I'm not one to look a gift horse in the mouth. Its a great kit for a insane price, I LOVE IT!!  THIS GEAR OIL CHANGE KIT includes 3 adapter sizes. 3/8(Swivel, Metal), 8mm and 10mm (Metal). Take the guess work out of figuring out the size of your motor's gear oil drain plug.  Rigid Suction Tube REACHES TO BOTTOM OF STANDARD GEAR OIL BOTTLES!! So Slippery Pete loves to spend his weekends on the water. It doesn't matter if he's rock fishing on the Chesapeake Bay or crabbing on the Wye river, he just loves boating. But boat motors need maintenance, and he has always preferred to change the gear oil himself. Over the years, Slippery Pete has owned just about every brand of outboard and stern drive boat motor there is Mercury, Suzuki, Yamaha, Johnson, Mercruiser, Nissan, Tohatsu, Honda and Evinrude. And every time he changed the gear oil, he had to figure out what size adapter he needed to fit the fill hole in the lower unit. NO MORE!! BECAUSE Slippery Pete's LOWER UNIT GEAR OIL PUMP COMES COMPLETE WITH 3/8"(Plastic), 8mm and 10mm GALVINIZED STEEL ADAPTERS! !That covers JUST ABOUT EVERY BRAND THERE IS, WOW!! I don't know about you, but that sounds pretty convenient to me.AND THE PRICE FOR THE WHOLE KIT IS ABOUT THE SAME AS JUST ONE OF THOSE ADAPTERS!! Don't ask me how Slippery Pete is able to make any money on the deal, but I'm not one to look a gift horse in the mouth. Its a great kit for a insane price, I LOVE IT!!  THIS GEAR OIL CHANGE KIT includes 3 adapter sizes. 3/8(Plastic), 8mm and 10mm (Steel). Take the guess work out of figuring out the size of your motor's gear oil drain plug. These strong motor covers are made of Marine Grade Polyester that is UV resistant and water resistant. M1 Motor Covers by Wake offers all purpose, easy slip-on motor covers that will keep your outboard motor looking great and protected against harmful environmental conditions. Keep your new outboard motor looking good and protect it against harmful environmental conditions. Our motor covers have been redesigned to better fit all makes of outboard engines. 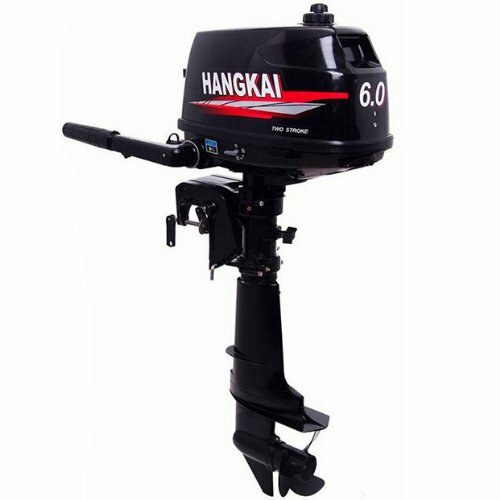 Simply measure your outboard motor and determine those dimensions that most closely match your particular model. Durapel coating technology with heavy duty breathable fabric. UV and mildew resistant. 100% marine grade woven polyester fabric that wont shrink or stretch. 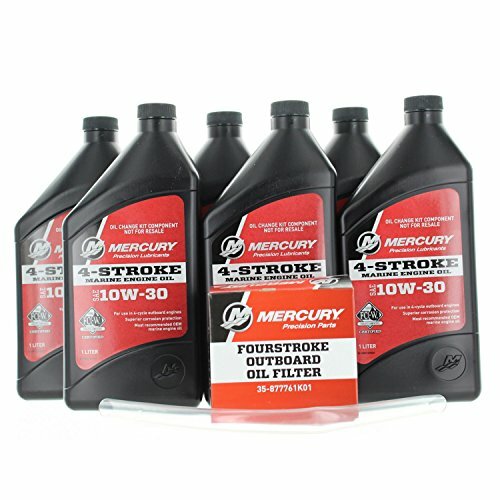 Brand new, genuine Mercury Marine/Mericruiser Pump & Lube @6. This is a factory original equipment part, not aftermarket. 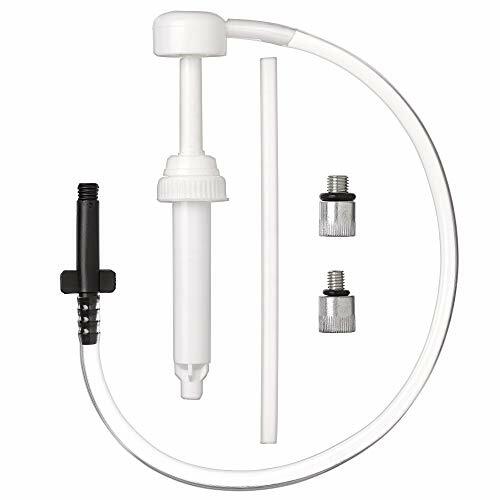 Note:Complete Water Pump Kit for a Johnson/Evinrude Outboard. It will fit (1986-2001) 65, 70, and 75 HP 3-cyl. loopcharged engines with the large gearcase. It's the large pump with the plastic wedge key impeller. This kit also fit some 40HP Johnson Evrinrude Parts,if you are not sure,feel free to contact us . Engineered for the Longest Possible Use under tough conditions.Cooperated with local workshops,quality is guaranteed. This is the Highest Quality Rebuild kit on the market, built by Marine Hydraulic Specialists. 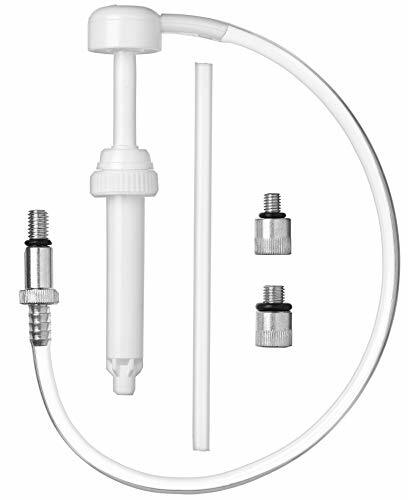 The OEM kit uses faulty seals that fail and leak within 10-15 years. If you cannot rebuild your unit we give you the option to send it into us for rebuild and we will credit the cost of this rebuild kit towards getting your unit professionally done by us, all of our rebuild services come with a Full 2 Year Warranty. 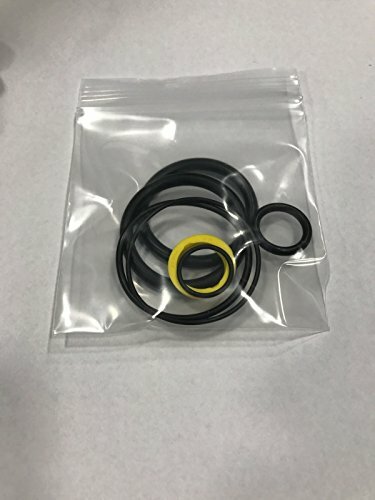 This kit use materials like Viton and or High Grade Urethane Seals to ensure you will only have to rebuild your unit once for the life of the motor. Build your unit once and for all with peace of mind just like the professionals. Thank you very much. 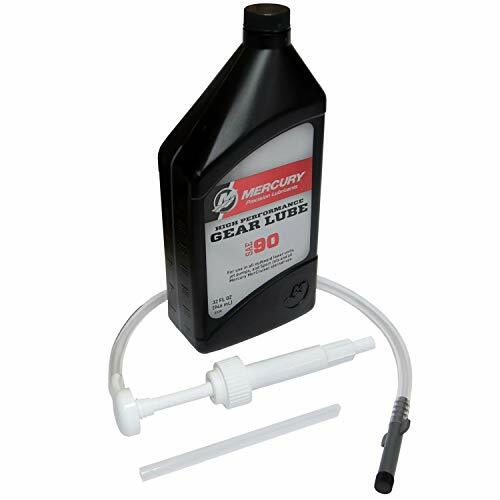 Brand new, genuine Mercury Marine 10W-30 Fourstroke Outboard Oil Change Kit, 150HP. This is a factory original equipment accessory, not aftermarket. 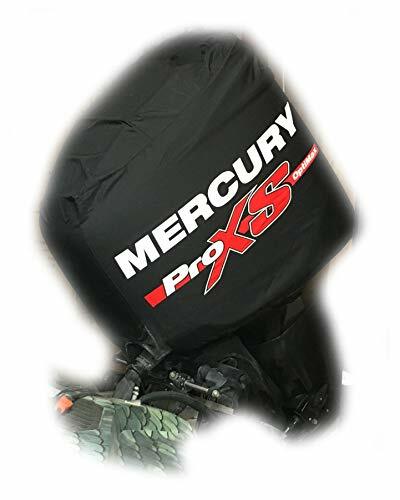 Each kit contains all the items needed to change oil in 150HP Mercury 4-stroke outboards. YHOUSE Outboard Motor Cover is made of marine grade polyester canvas with double PU Coating. 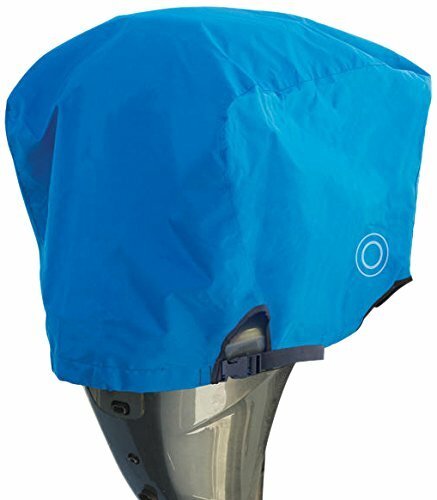 This 420D Outboard Motor cover designed for protecting your motors from rain,water,dust,UV rays damage. And the mildew-resistant and UV-coated fabric will not shrink or stretch in daily use. NOTE:Before buying, please measure the size carefully. FITS LIKE A GLOVE --- Covers the whole motor from top to prop with the measurement of:CIRCUMFERENCE: Up to 81 Inches Width x Height Up to 70 Inches. BOAT MOTOR PROTECTIVE COVER --- Prevent fading and creaking on motor from exposure to SUN, RAIN, WIND,UV RAYS DAMAGE, etc. HEAVY DUTY --- Made of Marine grade heavy-duty, waterproof polyester. EASY TO USE --- Drawstring & zipper provides secure snug fit with Reinforced Top-stitched seams. Coleman Outboard motors are lightweight and very reliable. 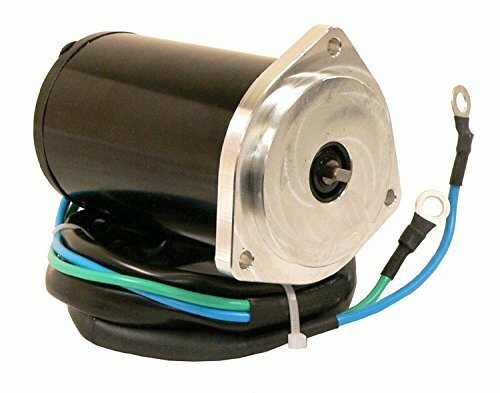 The 2.6HP four-stroke OHV motor runs quieter and meets EPA and CE standards. It is equipped with a TCI ignition for easy starting along with fan shifting with 360 degree steering. Additional features include: adjustable steering friction, shallow-water drive, vibration reduction, twist grip throttle, and marine aluminum alloy for corrosion protection. 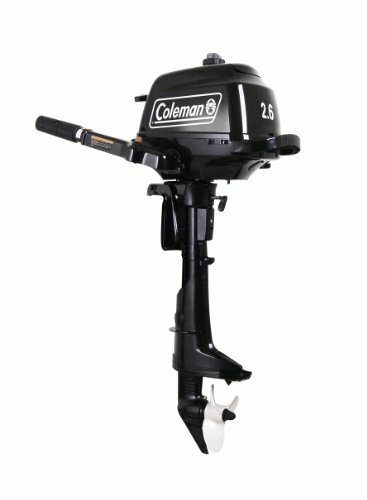 Engineered for lightweight, quiet, reliable operation, the Coleman Four Stroke Outboard Motor is great for small boats, inflatable boats or used as an auxiliary trolling motor. 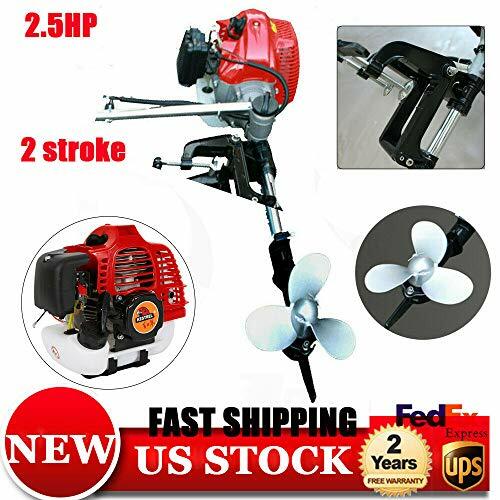 Two-stroke outboard engines should use a mixture of two-stroke oil and gasoline. Under the circumstanceof the same horsepower, 2 stroke is powerful than 4stroke.But the fuel of former is high,and create the noise and it is light weight and low price. 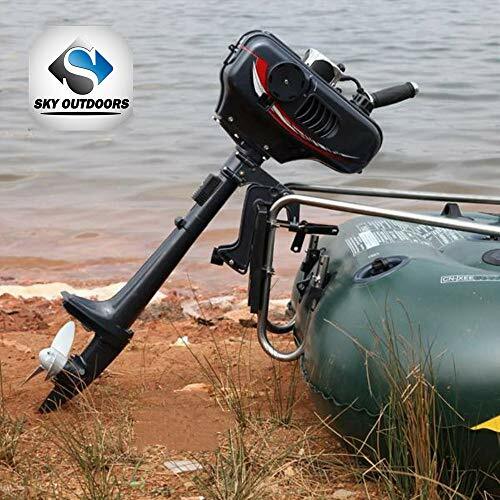 Unlike other traditional land products,our outboard motor are more reliable and stable when it is used and can ensure your safety. Durable----Economical and compact structure. Durable, lightweight and anti-corrosive construction. lubrication system: Mixed fuel & oil (30/50:1). 10.Have the external port of fuel tank . 14.Engine oil:Two stroke engine oil. 16. Carton Size(L W H):44in 15in 24.4in. Durable----Economical and compact structure. Durable and lightweight ,Perfect match inflatable boats, fishing boats, sailboats, and small yachts. 360 Steering Rotation----Features a 360 steering rotation, enabling you to reverse without changing gear. construction. 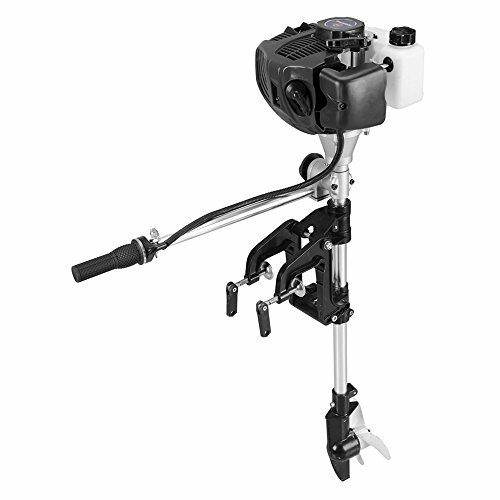 Maneuverable and safe twist grip throttle control. 4.Move the chock lever to the position "Z"
5.Press the on-off switch to "I"
8. Turn the handle from "L" low) to "H" High) or from "H" to"L" to control the speed of engine. 10.Press the on-off switch to "O" to stop the engine. Durable----Economical and compact structure. Durable, lightweight and anti-corrosive construction. Maneuverable and safe twist grip throttle control. 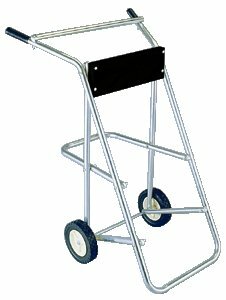 Garlicky/EEz-In Marine Outboard Motor Carrier - Strong aluminum tube frame. Tough alloy drawn aluminum up to 25 percent stronger than extruded tube. Semi-pneumatic rubber tired wheels. 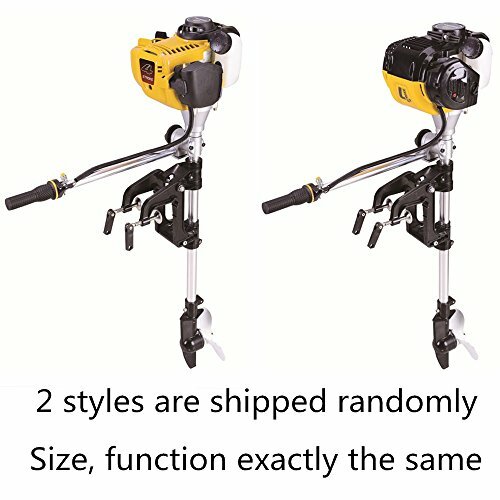 Handles motors 0-30 HP and up to 130 pounds. Height 36.75 inches. Russell Marine Products motor covers are designed to be left on your outboard at all times, they are vented to allow the outboard to breathe while under operation. 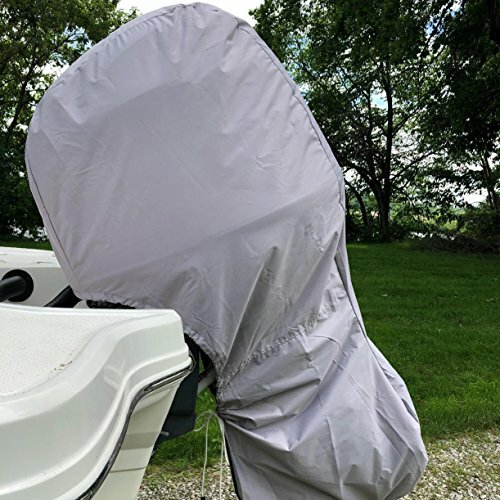 They have a soft cotton liner that protects the cowling from lures, dock rash, tree limbs and more. Push main switch to choke. With choke switch and engine warning buzzer. For use with either Command Link or conventional Yamaha rigging. As an responsible seller, we promise that 100% Money Refund/ New Replacement and within 24h online answer to your any questions. If your have any product issues, please do not hesitate to contact us. Just feel free to order our Sigle Key Switch Panel. We will satisfy you with our professional product and service! Sincere thanks for your browsing and support! 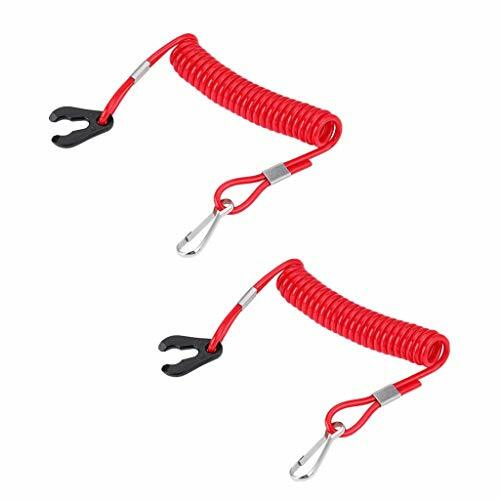 Size: 70 x 110mm/2.8" x 4.3"
You have to prepare a boat-motor stand or Hanging board on your boat.It can be marched with inflatable boats, rubber boats or fishing boats. 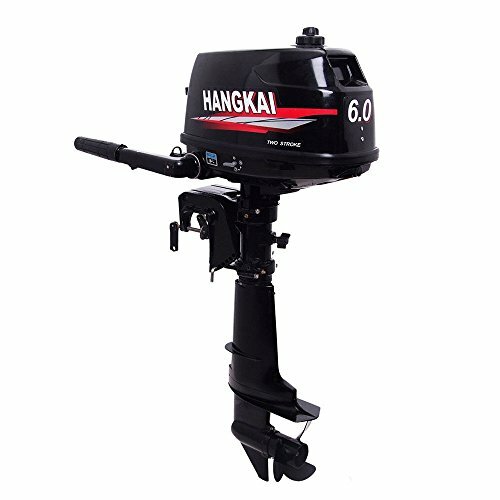 Please add gear oil to the gears before use the motor and replace gear oil after the run-in period(10 hours)our outboard motor doesn't with oil of gear,please prepare it by yourself .Keep in mind that you must add oil on the gear before use. About the noise: all the gasoline machines are noisy, currently we did not test the decibel , but the noise is the same as the motorcycle, so it is a normal phenomenon. The machine itself is lightweight, it can use on boat weight of 100kg or less , load-bearing 4 people, but the speed is certainly not the same when one person on it or 4 people on it . Customer who has high expectations on speed, please be noticed. Travel Safer,More Reliable,More Corrosion Resistant,More Beautiful,More Durable,More Energy Efficient,More Environmentally Friendly.Suitable for: Freshwater and saltwater. Before using the motor, please add gear oil to the gear and replace the gear oil after the running-in period (10 hours). (If you don't know how to handle it, please contact us). Please do not equip our outboard engine with gear oil. Please prepare it yourself. Remember to refuel on the gear before use!!! We do not provide consumables for free (such as pulling the starter). 2. Circulate the engine at moderate speed . 3. Do not leave the outboard motor outside until you have completely cooled the water. Otherwise the water cam enters the cylinder through the exhaust port. From there it will cause an engine failure. 4. The engine should be stored in a dry and ventilated place to avoid direct exposure to the sun. 5. You should use up the gasoline in the tank before long-term storage. 2. The machine itself is light in weight and can be used on board no more than 100kg, with a load of 4 people, but the speed is definitely different when people or 4 people. Please pay attention to customers who have high expectations for speed. 3. Can march with inflatable boats, rubber boats or fishing boats. 4. Necessary: ? ?You must prepare a boat motor bracket or hanging plate on board. 5.About noise: All gasoline engines are very noisy. At present, we have not tested decibels, but the noise is the same as that of motorcycles, so this is normal. Firstly, Fill the gear oil (open gear box lid and fill it). Secondly, Fill NO. 92 petrol, lightly press oil pump 6-10 times. Thirdly,Fill engine oil don't exceed the head of the pattern. Forthly,turn the throttle to the start up and turn the accelerator gets up to 50%. Then,Rapidly pull the starter line. After the motor start ,please turn the throttle to running state. Then, it can be operated now. NOTICE Please add gear oil to the gears before use the motor and replace gear oil after the run-in period(10 hours). 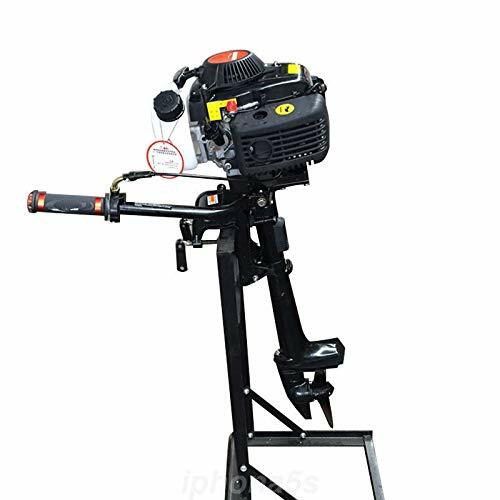 4.0 HP 4 Stroke Outboard Motor Boat Engine Using 4 stroke 4 horsepower, Air Cooling Technology To Improve The Reliability Of The Whole Machine. About the noise All the gasoline machines are noisy, currently we did not test the decibel , but the noise is the same as the motorcycle, so it is a normal phenomenon. Lightweight The machine itself is lightweight, it can use on boat weight of 100kg or less , load-bearing 4 people, but the speed is certainly not the same when one person on it or 4 people on it. Customer who has high expectations on speed, please be noticed. High Performance, Travel Safer Superior engine air cooling system for improved engine performance. Durable, lightweight and anti-corrosive construction, suitable for freshwater and saltwater. We can only provide CE certification, there is no other certification can be provided,thanks for your understanding. There are two pull starter included in the parcel(one is the machine, another one for spare). We don't supply wearing parts (pull starter)for free. If you want buy one please contact us. 1.Use the fresh water cleaning the outboard motor. 2.With the moderate velocity circulating the engine,cool off the water channel with fresh water. 3.Before completely running out cooling water,don't put the outboard motor outside. Otherwise the water cam pass the exhaust port to enter the air cylinder, from that will cause the engine breakdown. 4.The engine should deposit in the aridity and ventilated well place,avoid exposing directly in the sunshine. 5.Before the long term storing,you should run out of the gasoline in the fuel tank. About noise: All gasoline engines are very noisy. At present, we have not tested decibels, but the noise is the same as that of motorcycles, so this is normal. The machine itself is light in weight and can be used on board no more than 100kg, with a load of 4 people, but the speed is definitely different when people or 4 people. Please pay attention to customers who have high expectations for speed. Two strokes 3.5 hp are controlled by the handle, which is operated by the clutch. There is no Neutral, only idle mode or low speed mode. 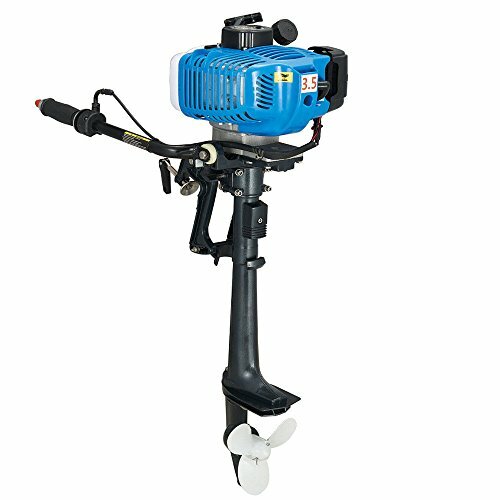 Necessary: You must prepare a boat motor bracket or hanging plate on board.When there is no water coming out from the motor,please stop using it immediately ,then check the impeller of Water pump or check if the water outlet has been blocked. Note: Before using the motor, please add gear oil to the gear and replace the gear oil after the running-in period (10 hours). (If you don't know how to handle it, please contact us). Please do not equip our outboard engine with gear oil. Please prepare it yourself. Remember to refuel on the gear before use! This item is for the use of emergency insurance. Please be reminded that due to lighting effects and monitor's brightness/contrast settings etc, the item's color may be slightly different from the pictures. Please understand.Thanks! Made by high quality plastic. Very strong and durable. Lightweight. And it is very convenience to carry. Red coil extendible lanyard with swivel snap hook, to prevent tangles. Should insert the board below the flameout switch, or it won't work (equivalent to the key role). It is a kill switch safety tether., the switch fits for most brand Outboard Engine. 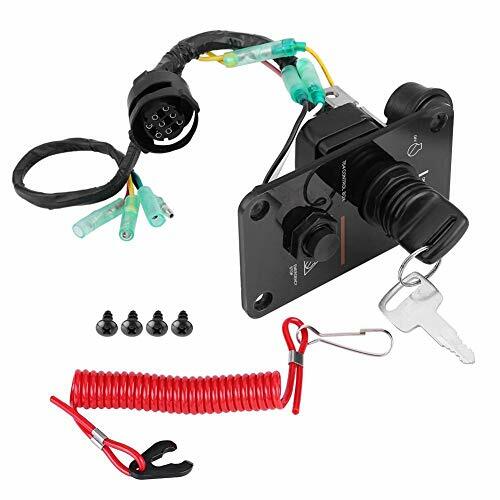 The other side of the red wire should connect with the person who is driving boat, this can protect his safe and to avoid the boat out of control, and can also protect the engine from water. 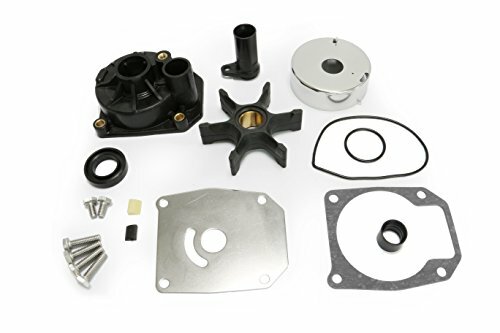 This water pump kit fits Mercruiser Alpha One Generation I sterndrives from 1983-1990.